After president Muhammad Buhari promised to give Benin Republic 24hours power supply while Nigerians can't even enjoy complete 4hours power supply, there have been a hug turn around in the power sector to the extent that the power stations are now retrieving light from the areas where the power stations and gas are located. Same is the situation in Afam power station in Igweocha(Oyigbo) Rivers state and its environs where there have been a blackout for the past three days. The incident occurred when the indigenes of the town where the power station is situated and where the gas for powering the station also comes from were asked to started paying light bills in which they'll also have light only at nights. The youths of the town and it's environs which comprises of Afam community, Egberu, Ayama and other communities refused and said that constant power supply without bill is their right because that's the only thing they enjoy from the Nigeria government. According to their spokesperson; they said:"Good roads we don't have, not even pipe borne water and many of our youths are unemployed and now they want to impose light bills on us. They enjoy 24hours light every blessed day in their camp while they hardly give us 12hours light and they still want us to pay light bills. No; it's impossible,, we totally disagree with that, instead let everybody remain in darkness". 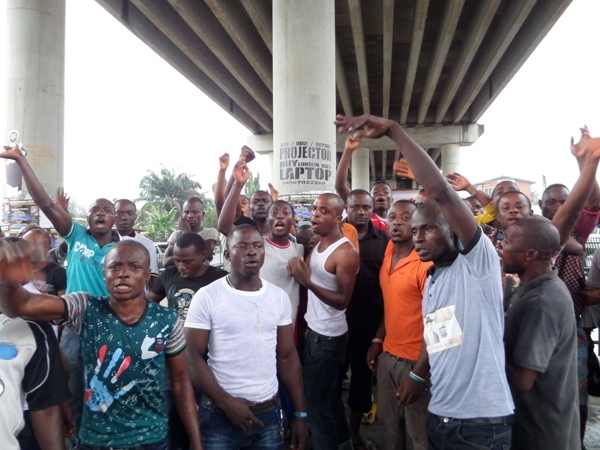 After reaching the authorities peacefully on how to resolve the issues which the authorities bluntly refused to listen to them; the angry youth protested, marched to the power station and switch all the power supplies off and also lock up the power station. We're yet to hear from the authorities who are nowhere to be found. More updates as soon as any information or action comes in. Nawao, blackout all the way .